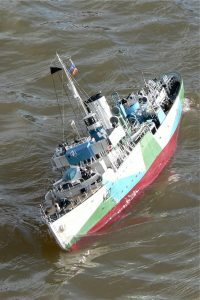 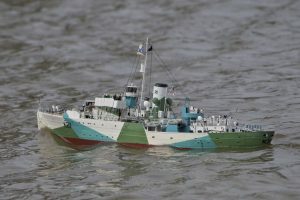 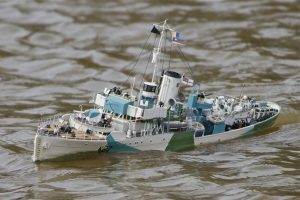 HMS Honeysuckle; Flower Class Corvette; Model: David McNair-Taylor. 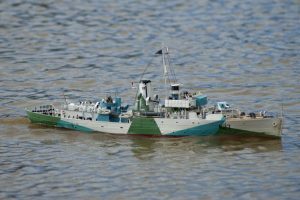 Flower Class Corvette; Model: David McNair Taylor; Kit: Revell hull with fittings by GLS and Sirmar together with some scratchbuilding. Scale: 1:72. 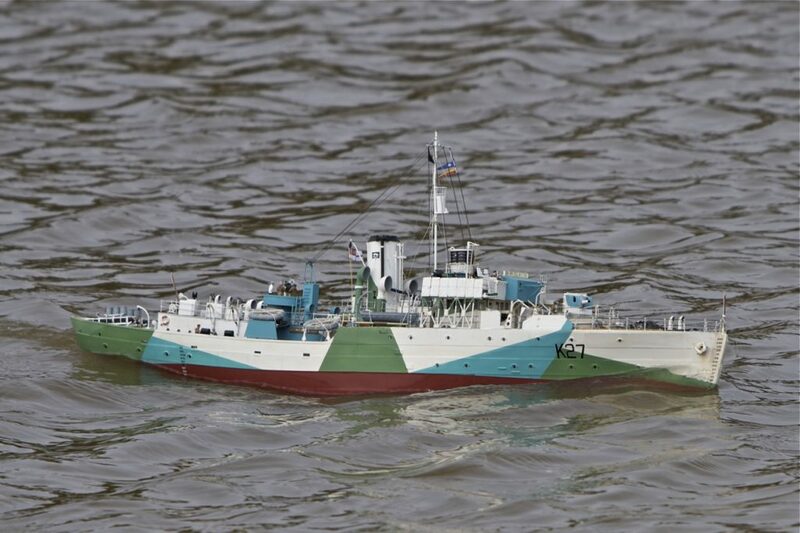 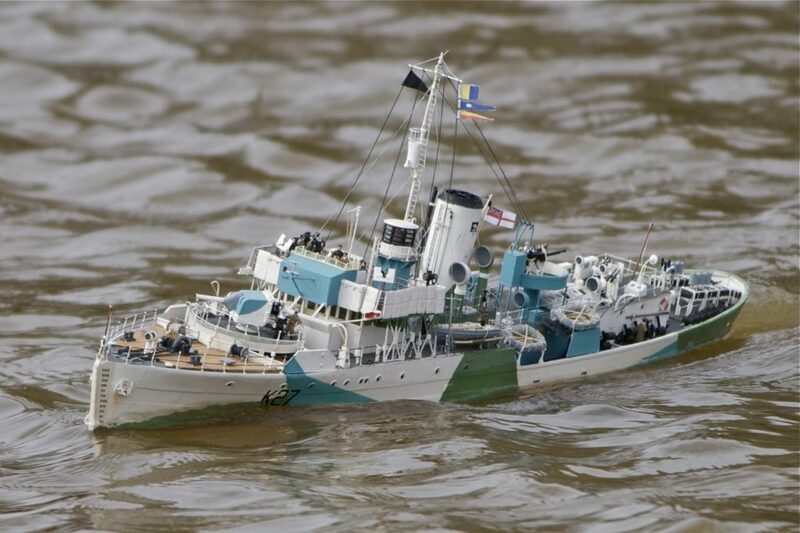 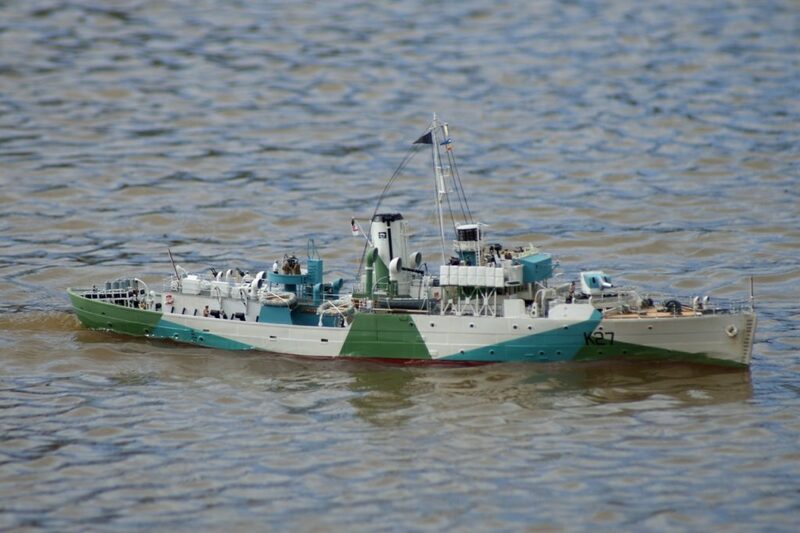 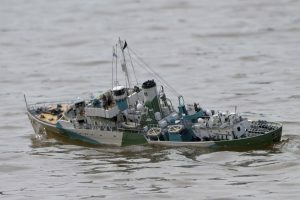 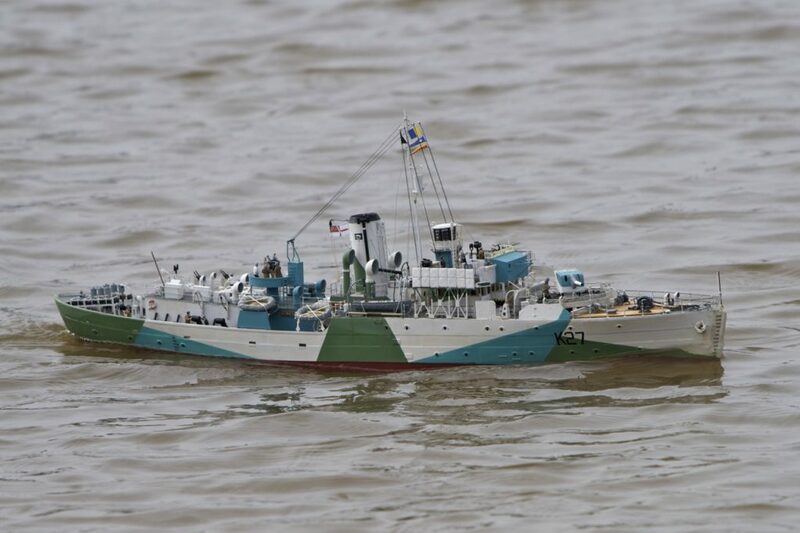 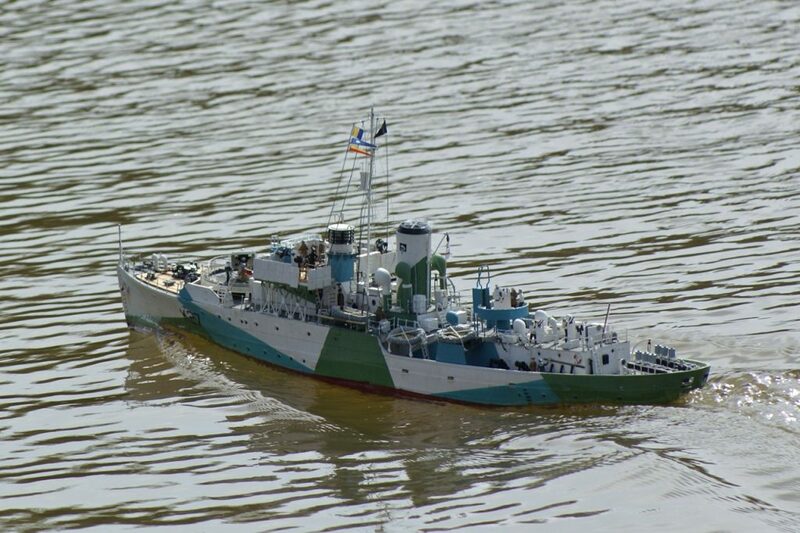 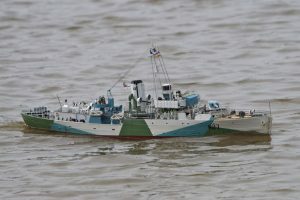 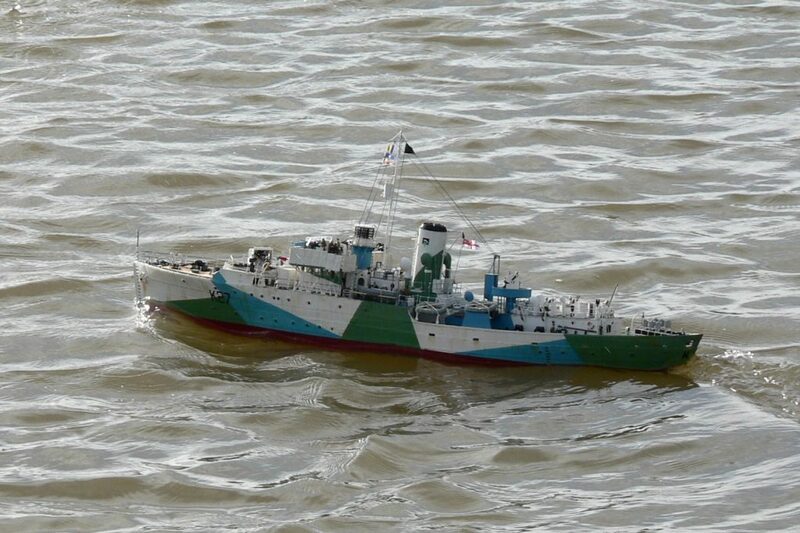 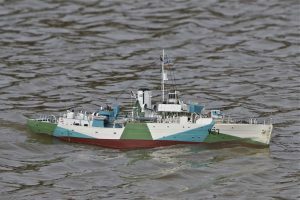 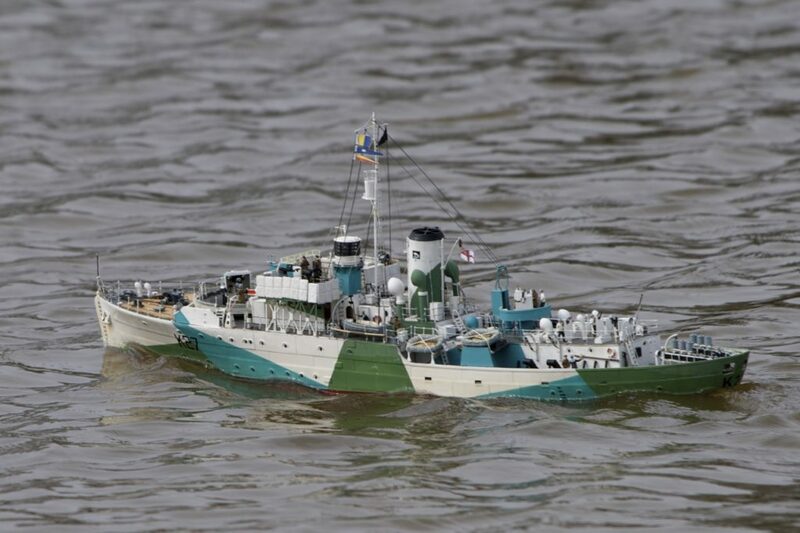 David’s Comments: “The model is of a long forecastle Flower Class corvette using a Revell “HMCS Snowberry” hull and some fittings, modified using drawings and publications by John Lambert. 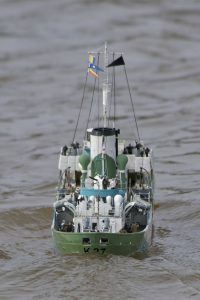 Most of the fittings etc. 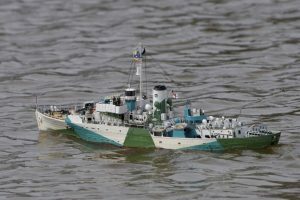 are either scratch built or supplied by “GLS Fittings”. 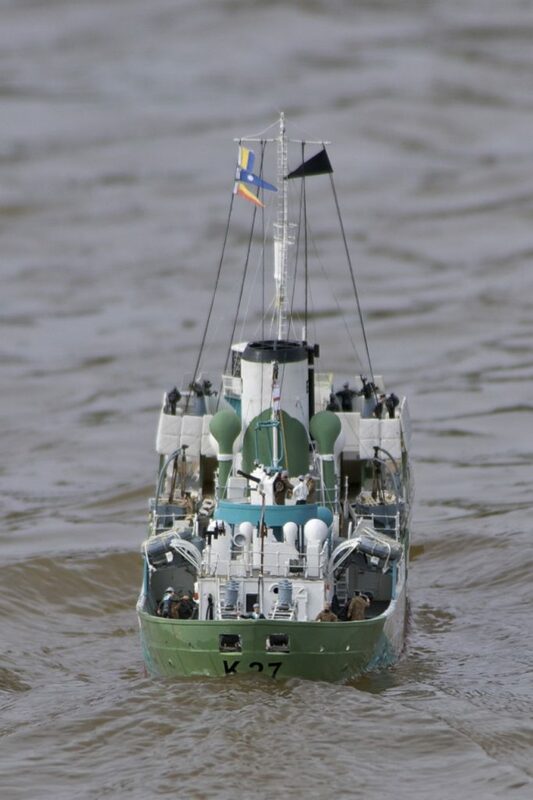 A new deck was required as the kit has a simulated wooden planked deck whereas the actual ships had steel decks with wood overlays on the forecastle, the bridge and at the depth charge throwers only. 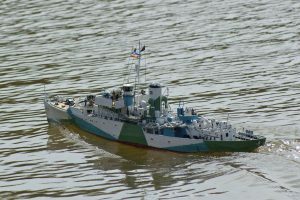 The deck was made of plasticard with a overlay with simulated riveting. 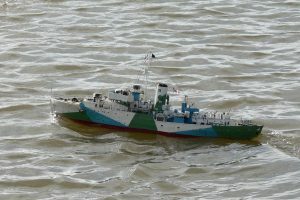 She is modified for R/C operation with a single screw, electronic speed controller and fitted with a Graupner smoke generator.